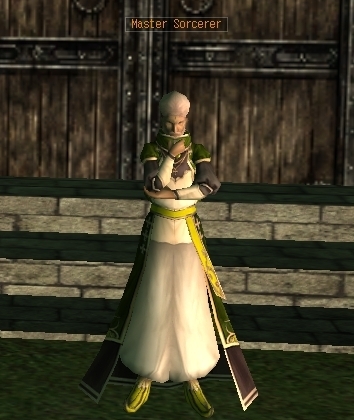 The sorcerers are high elves who summon the spirits of nature with the help of the four elements. The Sorcerer has two weapons to choose from, both of which assist in their own way. Strength(STR): Increasing the physical attack. Dexterity(DEX): increase the chance of a critical or fatal hit. Constitution(CON): Increasing the maximum vitality and maximum mana. You can find the Master Sorcerer in the south east corner of Randol. Also in Dratan, and Merac. The Master Sorcerer will teach the Sorcerer all of their skills. 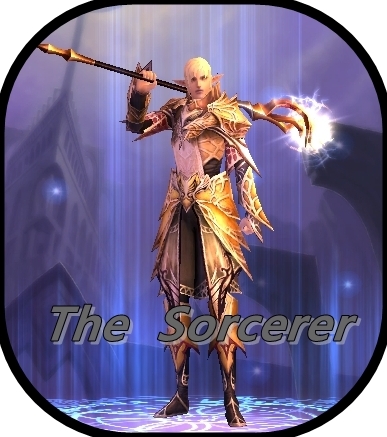 At level 31, The Sorcerer can become a specialist or Elementalist. 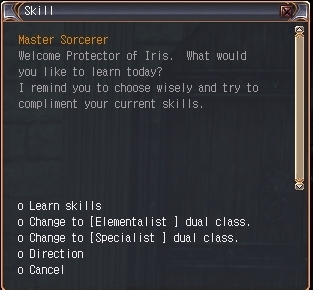 Each class has their additional skills which the Sorcerer can learn at the Master Sorcerer. To change class, you need the skill "Ice Spike level 5 ", and 50,000 gold coins. A fairly nimble fellow, by using his incantations can cause substantial damage on its opponents. 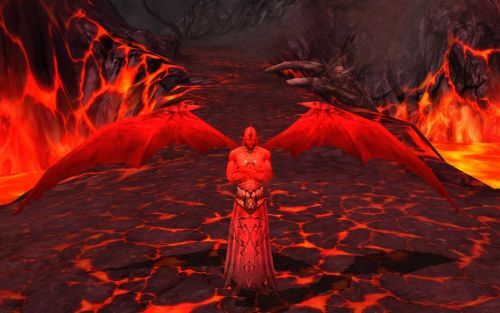 The Elementalist has 4 element beasts that support him in his struggles with their basic skills. Permanently increases your Earth Element's attack. Permanently increases your Fire Element's attack. Permanently increases your Wind Element's attack. Permanently increases your Water Element's attack. 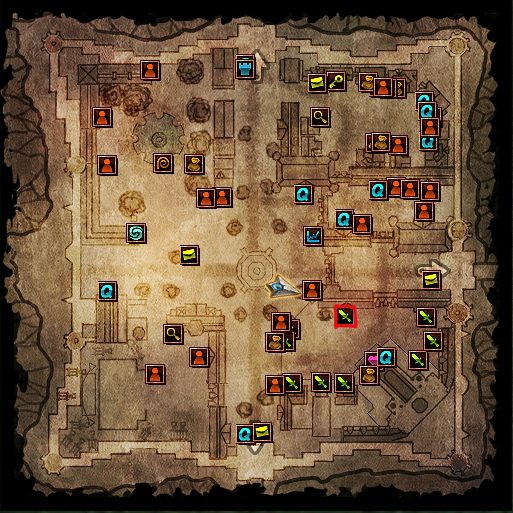 Personal Dungeon AoE Skill, Damages up to 7 monsters in range. Summons a Earth Element to fight at your side. Summons a Fire Element to fight at your side. Summons a Wind Element to fight at your side. Summons a Water Element to fight at your side. Slow melee attack and uses the power of wind. A stone buff that increases your physical defense. Transfers HP to Target Element. Damages target and decreases their movement speed. Cube skill. Hits 8 monsters in range with a wall of fire. Decreases magically defense and movement speed. Permanently increases the magically attack of your Earthsea Evocation. Permanently increases the magically attack of your Firewind evocation. Permanently increases Physical Evasion while transformed. Permanently increases attack speed while transformed. Permanently increases magically attack when scythe is equipped. A self buff that increases Attack speed, Movement speed and casting speed. A self buff that increases physical attack, magical attack and critical hit chance. A self buff that increases physical defense, magical defense and HP. A self buff that increases physical evasion, magical hit rate and Deadly. Increases the time the target's next buff lasts. A party buff that increases critical, Deadly stats of all party members in range. A buff that increases all party members movement speed. This Self buff increases physical defense of the castor and restores HP continuously. This self buff increases magical defense of the castor and restores MP , HP continuously. 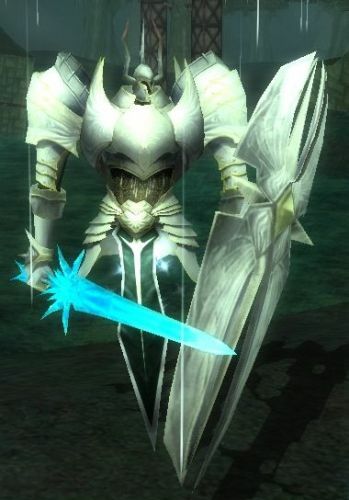 Transfer you into a knight with medium attack and high defense. Attack that target and reduces their movement speed. AoE and stun, hits up to 5 mobs close together. A self buff increasing toughness. Transfer you into a demon with high attack and medium defense. Powerful attack that deals high damage. AoE attack that hits 5 mobs close together. A self buff that increases dexterity. 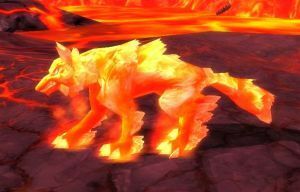 As the Firewind, you make use of the specialist power of Fire and Wind which can do more damage but also reduces their defense. As the Earthsea, you can make use of the specialist power of Earth and Water which gives you a higher defense but also weakens your attack. Permanently increases all the elementals' hit rate. Permanently increases magical attack and physical defense of the elementals. Permanently increases magical attack, physical defense and maximum HP of water elemental. Permanently increases magical attack, attack speed and maximum HP of Wind elemental. Permanently increases magical attack, magic accuracy and maximum HP of Fire elemental. Permanently increases magical attack, physical defense and maximum HP of Earth elemental. Permanenelty increases the attack of the elementals. Permanently increases attack when Fallarm is equipped. Temporarily increases the attack of the target elemental. Fire Elemental sacrifices itself to deal damage to the opponent. Fire Elemental skill. Earth Elemental's AoE skill. Hits 8 opponents close together if one is targeted. Wind Elemental's AoE Skill. Hits 8 opponents close together dont have to target. Water Elemental Skill. 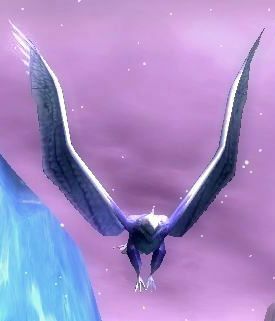 Decreases target's defense, removes buffs and temporarily petrifies them. AoE attack skill. Hits 6 opponents close together. AoE attack with binding effect. Hits up to 8 targets. Damages target and decreases its movement speed. Self buff that decreases the amount of damage your summoned elementals take. A party buff that increases critical and Deadly stats of all members in range. An Attack summoning ancient weapon through magic barrier. A party buff that gives all members increases in attack speed. An Attack summoning a stone pillar to inflict damage to the target. 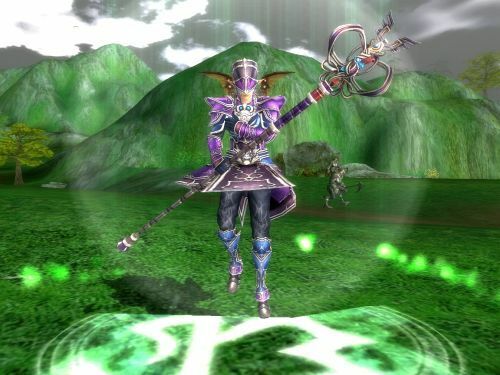 An Attack summoning a lightning strike to inflict damage to the target. Reduced magic damage earned and recovers HP and MP. 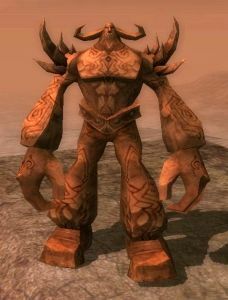 Elementalist can call companions in the form of element spirits. 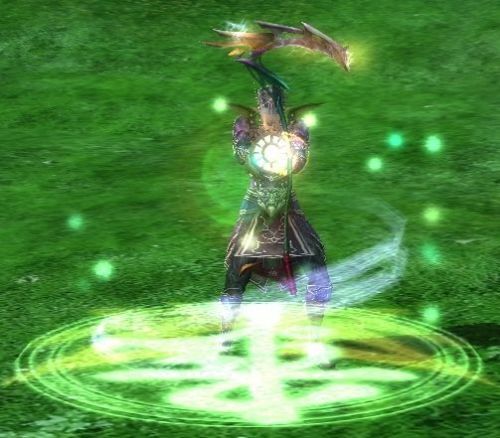 These element spirits can perform various actions, even helping in battles along side the Elementalist. these are Wind, Earth, Fire and water spirit. The Elementalist can only summon a maximum of two element spirits at a time. The Fire and water spirits can not be summoned at the same time. The same goes for the earth and wind spirits. So you can summon either a fire or water and either a earth or wind. Each spirit also has it's own ability. Which can give the Elementalist an advantage in battle. 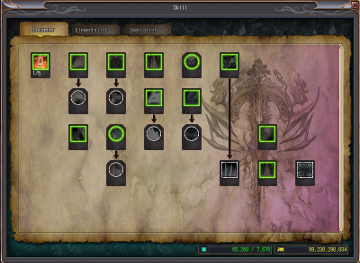 via the skill menu and/or the quick access tool bar. that appears when the spirit is summoned. Each of these menus has the same setup. is the duration of the spirit's summons. Attack First (Shift + 1 ): The spirit will engage an enemy in its range. Targeted Attack (Shift + 2): The Spirit will attack the same enemy as the Elementalist. Hold (Shift + 3): The Spirit stops immediately in it's place. Protect (Shift + 4): The spirit is follow and protect the Elementalist. Element spirit skills slot (Shift + 5) : You can place the element spirit's skill in this slot. Example if you are using the Fire Element spirit you can put the Soul of Fire skill here.